It’s summer. That means time in the sun, ice cream, and a new version of the GMAT! As of July 11th, GMAT-takers now have in their hands a revised version of the test, designed to give a more flexible experience. This year’s test includes one big change, and a smaller one that’s been understandably overshadowed. Let’s start with the big news – you can now customize what order you take the GMAT in. If you want to kick off your test-taking experience with the quantitative section, you can now do that. If you feel like starting on a more verbal note, you can do that too. If the first section order option looks familiar, that’s because it’s the original section order! The two new orders were chosen through a series of pilot tests run by GMAC last year. Essentially, they experimented with letting people choose different section orders and implemented the two most popular. All three options give you two eight-minute breaks, but the breaks are still optional. No one’s going to force you to take time off if you’re on a role! What’s the Best Section Order to Use? With the great power of choosing your section order comes the great responsibility of figuring out which section order is right for you. 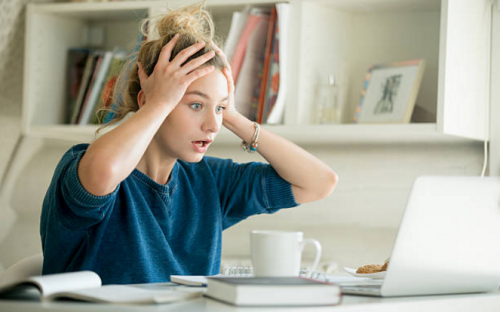 Actually, it’s not something to stress about – if selecting your GMAT section order seems like one more thing to worry about, remember, you can always just stick with the original. Many test takers however, may find that this is a chance to put themselves a little more at ease during the test-taking experience. For example, if one of the sections is especially challenging for you, you might opt to put that section first and tackle it with a fresh mind. Then you’ll have it out of the way early, and you won’t have it looming over you as you complete the other sections – which can only help! Alternatively, you might choose to put your most challenging section later, to give yourself a chance to warm up and get adjusted to the rhythm of taking the exam. Knowing which section order is best for you is partly about reflecting on your own personal psychology. In the end, you’re still taking the same exam, but if you can order the sections in a way that makes you a more comfortable, confident test taker, that can’t hurt! Regardless of what section order you go with, GMAC is clear in their FAQ that there’s no “preferred” section order. Along the same lines, schools will have no way of knowing what section order you chose. The best case scenario, then, is that you’re more comfortable with one of the new section order options, which will make for a more relaxed test-taking experience. The worst case scenario is that all three options look the same to you, in which case you can just stick with the original and not worry about it. Now for the smaller change GMAC is making to streamline the test-taking process. It used to be that the GMAT ended with having to fill out a series of questions to update your profile. Now, in the grand scheme of taking the GMAT, having to complete a few questions about your basic personal info isn’t so bad. Let’s face it though, no one really wants to finish the GMAT then have to sit through a bunch of “profile update” questions before they can get their results. GMAC acknowledges this and they’re removing the profile questions so you’ll now go straight from finishing the test to finding out your score. Rather than fill out this information on test day, you can now update your profile on the GMAT website. In the end, both these changes mean a more efficient and personal process on test day. This year’s GMAT revisions are the best kind – ones that will take a little of the stress out of the experience for test-takers and let them focus on the content of the exam itself.